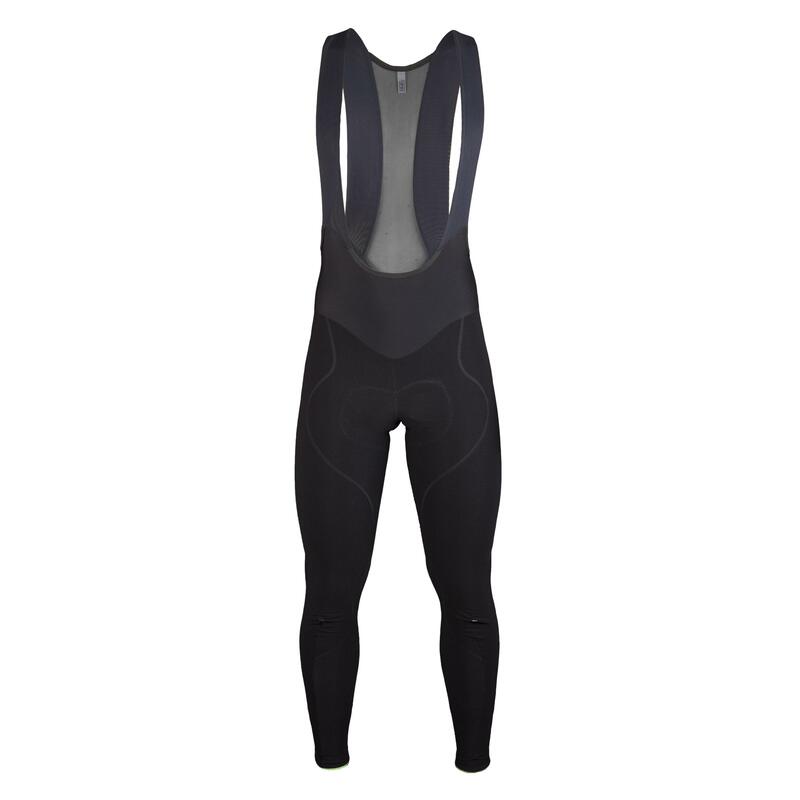 These are the warmest of Q36.5's high performance bib tight range. Similar in design to the L1 Long Salopette, they include additional insulation for particularly cold conditions. The main fabric used here is Q36.5's windproof, insulating and breathable UF Hybrid Shell, as seen on their L1 Long Salopette. But they've also added an extra layer of insulation around the most exposed knee and thigh areas. It's effectively like having a set of knee warmers built-in, but without the bulk or inconvenience. Using the technology from their most advanced fabrics also makes for a remarkably light weight set of bibs - they're actually lighter than the more traditional Winter Tights, despite coping with lower temperatures. If you want to stay warm into the depths of winter, but still enjoy true performance riding, these are the ones to go for. feet 4'11"-5'3" 5'4"-5'8" 5'6"-5'10" 5'9"-6'1" 5'11"-6'2" 6'1"-6'4"